The latest release on Tim Penner’s Slideways Music finds the label presenting the second installment of its Gateway Series. 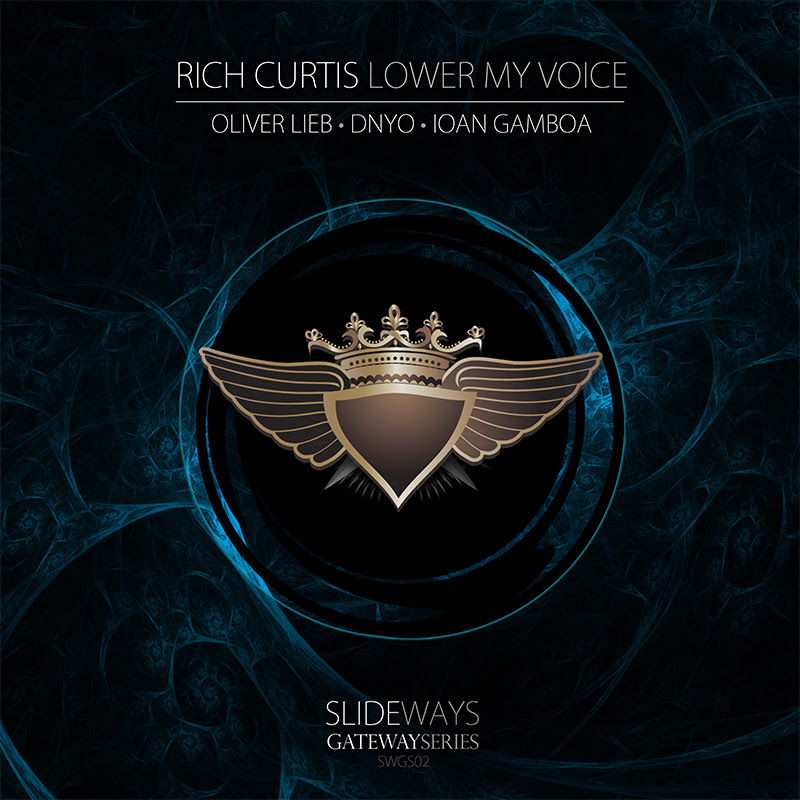 It’s actually a continuation of the first as here we see the remaining three remixes of ‘Lower My Voice’ by Rich Curtis getting their much anticipated re-release. The stellar cast of Oliver Lieb, DNYO and Ioan Gamboa complete the package and all three stand the test of time quite nicely. The release begins with German techno legend Oliver Lieb who at the time of the remixes initial release had just come off several projects for Bedrock Records. Oliver has been a firm favourite of some of the world’s biggest DJ’s over the years; namely Sasha & John Digweed who have featured many of his productions in their live sets and storied Global Underground CDs. Still sounding fresh four years later Oliver took the amazing bass stabs and synth hooks from Rich’s original and melded them with his own pristine club framework. The end result was a remoulded peak time rocker which was regarded as one of Oliver’s top productions that year. The remix also ended up being a favourite of Sasha who featured it in his Moonpark set from 2012. So for those who missed it the first time around now’s your chance to finally have it in your arsenal. The second interpretation of ‘Lower My Voice’ is provided by Danny Oliviera under his older DNYO alias. Looking to explore different stylistic blueprints Danny elected to return to his original alias in 2015 with great success as projects for Chapter 24 highlighted a great year. His interpretation of ‘Lower My Voice’ came at perhaps the peak of his creative vision with DNYO taking it in a radical and sonically satisfying direction with warped vocal hooks, moody bass stabs and twisted electronics; all wrapped up in a techno state of mind. It played extremely well then and still does now. Unique and inspired music as always from Danny. The final interpretation of ‘Lower My Voice’ comes from Ioan Gamboa who is making his first appearance on Slideways. The Spanish born but Berlin based artist began his career with releases on Hernan Cattaneo’s Sudbeat Music and Cid Inc’s Replug Records. His remix of ‘Lower My Voice’ came not long after that and put a slightly more progressive spin on the original. Highlighted by heavy atmospherics and subtle motifs it was one of the headier interpretations on the release. It’s smooth, hypnotic flow gets met with offset keys and harmonious stabs which come together bringing on an epic finale, ultimately making it a brilliant peak time interpretation. Rich’s original had this amazing grungy character and Ioan put a more pristinely polished spin on it which resulted in a wonderful complement. It’s great to see it and the previous two remixes available again and props to Tim and Slideways for bringing them back. Definitely deserving of a spot in your collection. Highly Recommended.